Harry Belafonte Sues Dr. Martin Luther King, Jr.
Harry Belafonte sues the estate of Dr. Martin Luther King, Jr.
Belafonte claims he is the rightful owner of the documents, including an outline for a speech, notes for a second speech and a letter of condolence from then president Lyndon Johnson to Coretta Scott King. When he attempted to auction the items in 2008, the estate blocked the sale. King’s children, Dexter, Bernice and Martin Luther King III, contend that the documents were taken without permission. 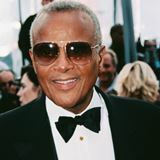 According to Belafonte, the speech outline had been left behind by King at his home (the two were close friends) while the notes came to him from the widow of another friend of King’s. The letter from Johnson was a gift from Scott King. The documents are currently located at Southeby’s Auction House until the resolution of the case.